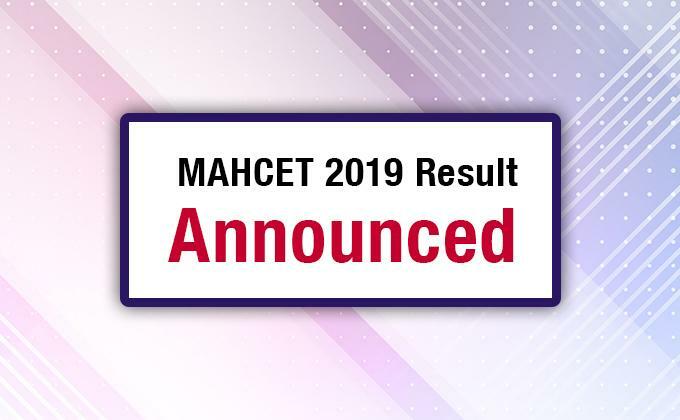 Candidates can access the MAH MBA/MMS CET 2019 exam result by clicking on link highlighted below in yellow on the MAHCET 2019 official website. Around 53,000 students got less than 50 percentiles. Download and print the MAHCET 2019 Scorecard. Please Note: The final score is adjusted to two places of the decimal by equating the difficulty level across all the slots. This process is also called normalization of the score. Based on the overall MAHCET 2019 exam score, the students are awarded all India ranks. The corresponding institution is informed about the final list, and remaining admission formalities are completed. Please Note: The detail schedule and steps for the MAHCET CAP 2019 round is yet to be announced.